This was one of the most famous places in the old Berlin: the Spittelmarkt. 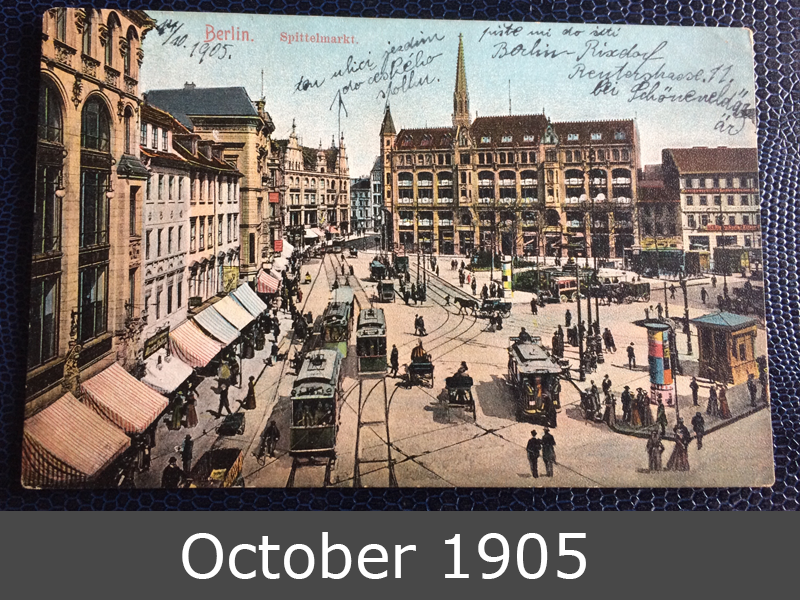 You can see a wonderful hustle on this place, with trams and horse carriages in year 1905. Unfortunately, the stamp was removed. 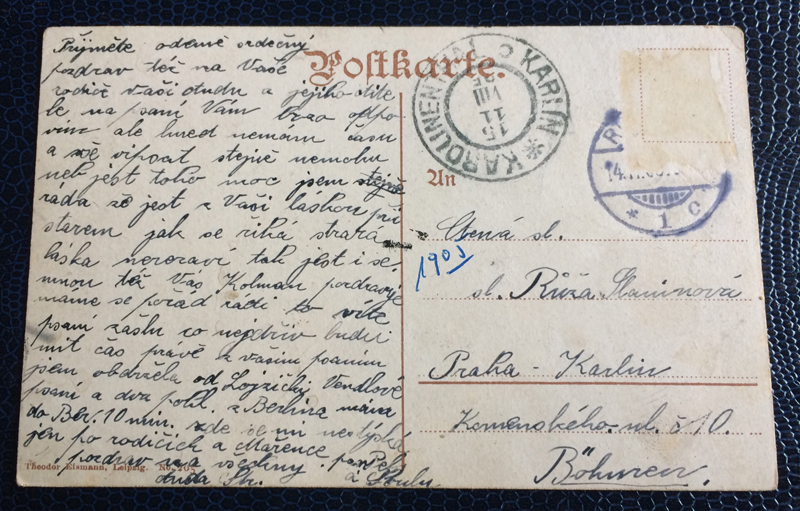 This postcard goes to Prague, stamped in Karolinenthal, Karlin, part of Prague.